And with that, the sounds of school buses and recess bells fill the air as kids head back to school, leaving pool days as but a mere (fun-filled) memory. We’re slowly saying Au Revoir to sweet Summertime…but what’s that on the horizon? Ah, yes. Fall. Swoon. The coveted Fall Fashion editions have hit the stands, and our jaws have hit the floor. Designers nail it again, as they bring such ease to transitional dressing. From last Autumn’s favorite color trend, Red, to Springtime-like florals being acceptable in the Fall. 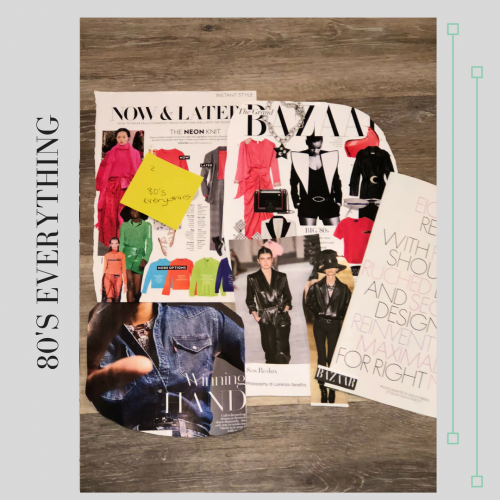 We’ve lined up or favorite trends for Fall (in no particular order, because, how could we pick a favorite?!) Bring on those crisp days, we’re ready! 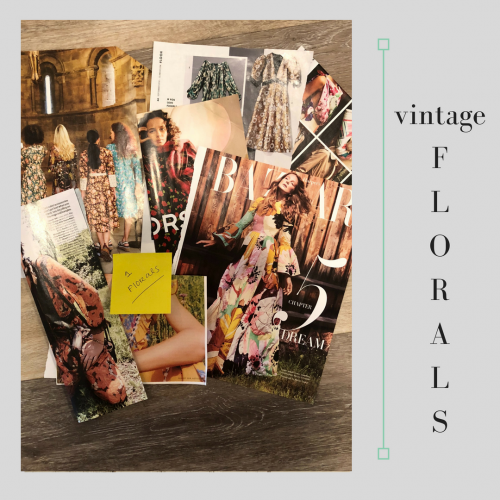 These aren’t just your dark Autumn and Winter-based floral prints. Runways were graced with Spring-like flowery frocks, silk pants, scarves, and blouses. The prints take on a vintage feel, so add modern edginess by pairing your floral dress with a sneaker. And, no, we’re not mad about it. This color is everywhere, from head-to-toe red to just pops of the bold hue. 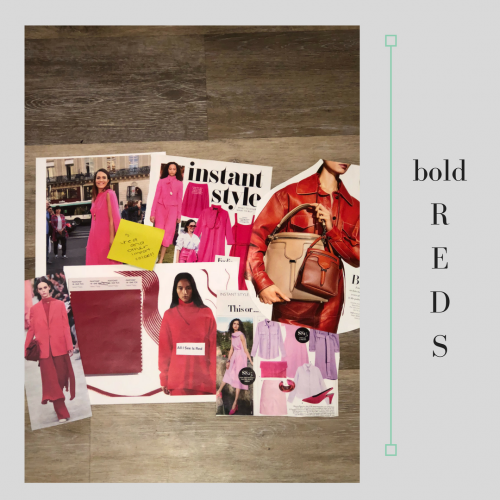 If red isn’t your color or the monochromatic look feels a little intimidating, do not worry! Try incorporating it in your accessories: shoes, handbags, or jewelry! Other colors that are equally important this season are the continuation of violet and lilac, and a strong push for magenta and bold pink. Western-wear made quite the splash for Fall, and we’re here for it. 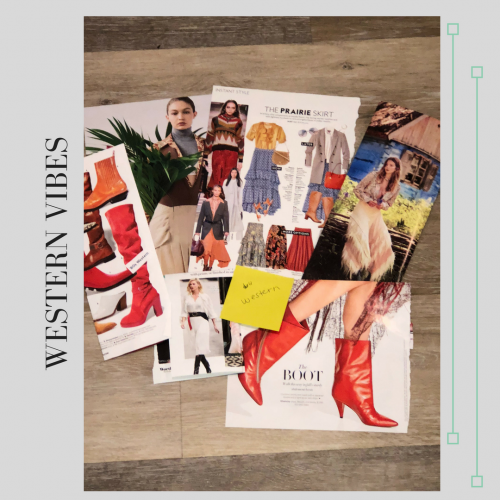 From Prairie skirts, to long maxi dresses (printed and solids), cowboy boots (YES—break them out again, it’s been too long! ), to an All-American feel with patchwork prints and print-mixing. All we can say is, Yee-haw! Suiting-inspired checks, plaids, houndstooth prints, tweed—yes these fabrications remind us of being at the office, but don’t let that hold you back. We encourage you to wear them for play as well. Layer a plaid blazer over a white tee tucked into high-waisted jeans for a dinner on the town. So chic! 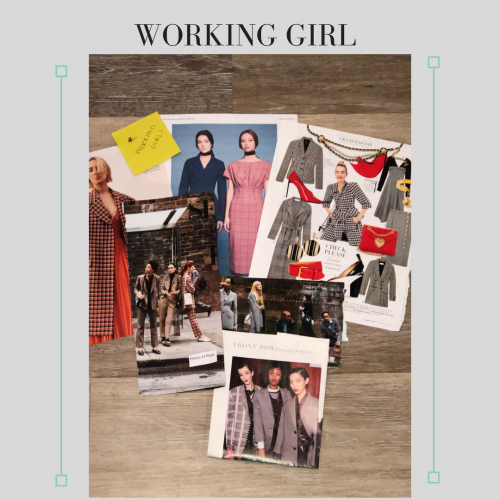 And for the working girl, go ahead, take it literally by putting on the full suit. Work it. Literally. Animal Print. Is. Everywhere. Not just in neutral tones. 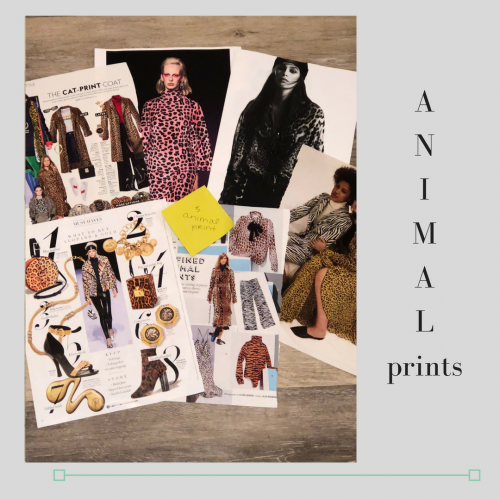 We are seeing all types of animal prints from zebra to leopard, and python alike in bright colors and in statement contrasts. The bolder the better. To really kick it up a notch, trying mixing animal prints with other hot prints such as plaids and florals! This fabrication is always a Fall favorite of ours, so we loved seeing it grace the runways for this upcoming season. 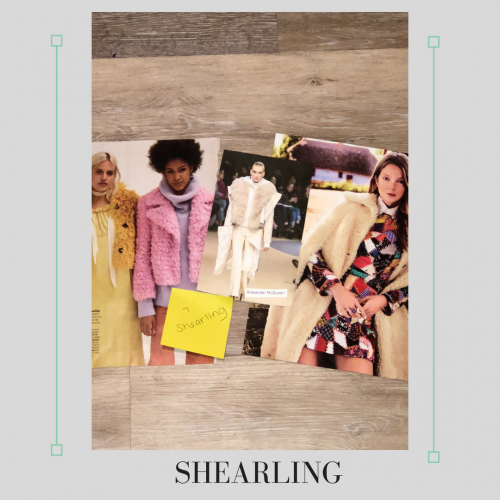 We love that we are seeing it in candy colors, which feels unique compared to it’s normally natural, neutral tone (should be noted: the neutral shearling is STILL important). From a chubby to a long coat, this piece can be worn casually with denim and cowboy boots or dressed up for evening over a great LBD. Listen, friends. This shoe is not even a trend anymore. It’s a staple. Wear it…with anything! 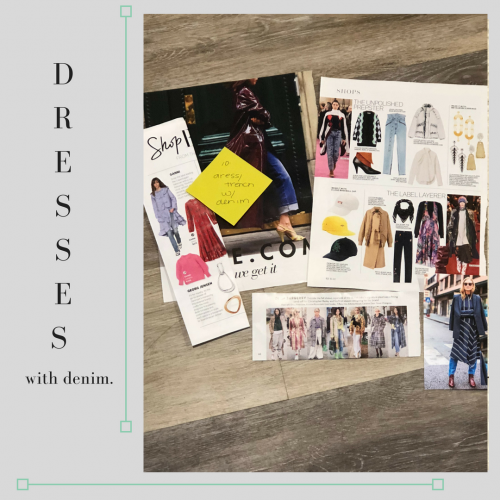 Dresses, skirts, jeans. Dress it up, dress it down. Do a pop of color, or keep it white and sleek. Let it speak your personality. 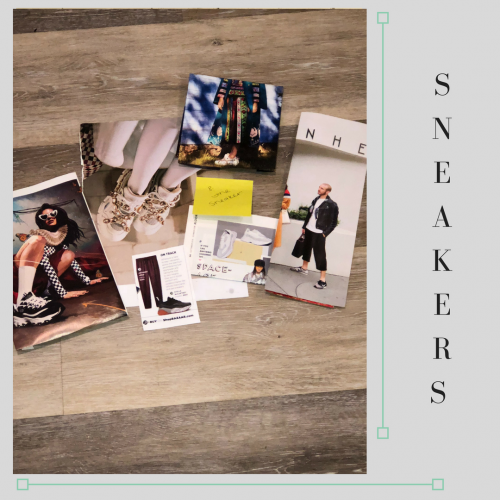 Embrace the Sneaker. She’s here to stay! Remember the era of “Tommy” and “Guess”? It’s like that. 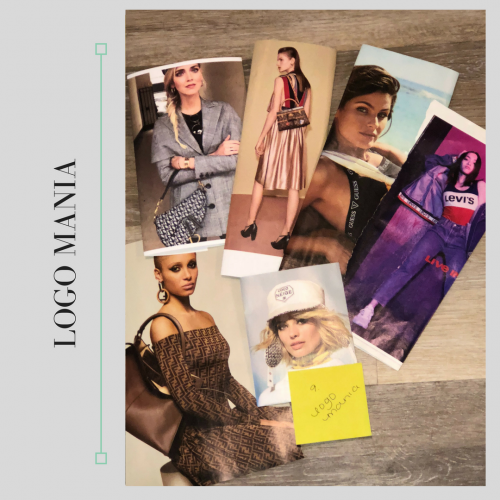 We are in a logo frenzy right now, and we want to you embrace it. 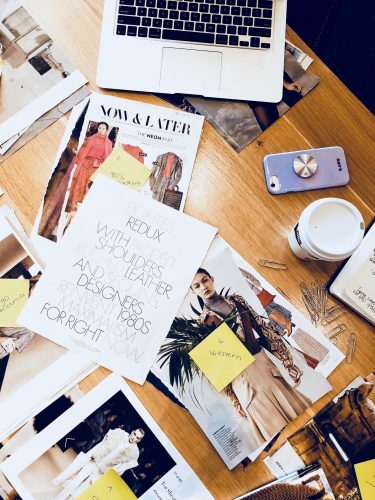 Invest in the designer brands. Buy the Givenchy Sneaker. Rock the Gucci belt. Grab those Chanel sunnies. It’s no longer faux pas. Sticker shock? No problem, you don’t have to represent the highest end designer labels. Levi’s, Adidas, Calvin Klein…you name it. Get it?! An unlikely pairing is having a moment. We are loving this trend, and it’s one we are encouraging you to try! Volume on top = skinny denim. Long legs? Try a demi boot flared jean that hits at the ankle and has a bit of volume. Need a little help in the length department? Look for a trench with side slits to help elongate the legs. This is an avante garde look, mixed with bohemian vibes.